The staff attended a course on Conflict Management & Conflict Resolution which was presented by Mr Wilf Reynolds, at the Home from 08.00 – 11.30am. The room was set up and each staff member received a lovely gift. At tea time the ladies enjoyed tea / coffee and home made muffins, which Tania made. Judging by the feedback from the staff they learnt “a lot!” and the interaction between Wilf (who is fluent in Xhosa and English) and the staff, was amazing. For the record, all 14 staff attended which proves their keenness to want to learn, which is so promising for Masigcine. Reverend Lucas Plaatjie who is the Chairman of the Masigcine Children’s Home Board arrived as the course was finishing to make an announcement to the staff about the forthcoming Home make-over. He mentioned that exciting changes were going to be done to the Home while they are visiting the 4-star Lagoon Beach Hotel in just 2 weeks time. This really excited them! They each received a note detailing what to bring as well as the departure from and arrival time back at Masigcine. We as volunteers had a busy morning. We were 15 strong. There were 7 men (Michael, Gary, Marshall, Ryno, Marlow, Dean and Matthew) who worked outside spraying off the walls and roof and they also painted 1½ of the 2 roofs with the green paint from Weatherprufe. The ladies were just as strong in force and the 8 of us (Tania, Jenny Ford, Cindy-Lou, Sarah, Lynne, Ilsa, Michelle and I) were quite organized for the morning shift. We allocated a number of children to each lady volunteer who had the opportunity to play with them in smaller groups and showed them pictures in story books. We would have you know that this was not a “library type” experience but rather a noisy affair and the little ones kept us very busy. 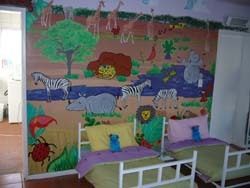 The children enjoyed cold drink; milk and cookies before they went outside where they played to their hearts content. Mariette prepared a delicious meal of pasta, mince and peas followed by jelly for pudding. The children lapped it up at lunch time and some even finished a second plate! By this time the ladies had finished their course and those on the day shift took over from us. We provided lunch and tea for the 4 day shift staff too, while the volunteers took a much needed break and stood around the kitchen table, enjoying a r-e-a-l-l-y lovely cup of tea and sandwiches which Michelle made while we chatted about the mornings activities. 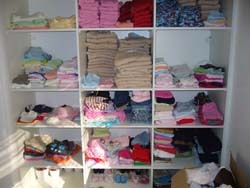 Most of the volunteers left shortly afterwards and a couple of us stayed on a little longer to continue with the clothing sorting project. We are making great progress and are confident that this department will be completed in time. Some of the memorable moments from this morning that we want to record was that little Sipho (just over 1 year old) smiled, something we have not had the joy of seeing since we have been at Masigcine. Thozamile who is 7 years old and normally doesn’t say a word was chatting away – it was lovely to hear his voice and then there was young Nkosinati whose age is still unknown but we estimate him to be between 1 and 2, fed himself for the first time. 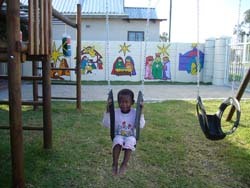 Another lovely sight was to see 3 year old Lisakhanya sound asleep in the swaying swing on the jungle gym (aaah). 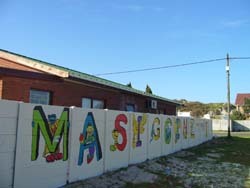 Cape Town – unaware of a negative SABC news report highlighting certain issues at Masigcine Children’s Home in Mfuleni, Blackheath earlier this year, a group of people from Brackenfell were busy mobilizing themselves to get involved at this Home on a volunteer basis. 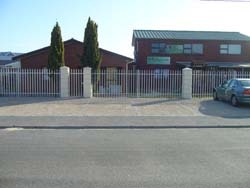 The Masigcine Children’s Home is a registered welfare organization under the protection of the Uniting Reformed Church of Mfuleni, headed by Rev. Lucas Plaatjie. The management committee together with 16 team leaders and hundreds of volunteers have decided that the Children’s Home needs a Home Make-Over to address most of the issues. 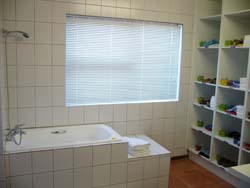 Now we would like you to witness this dynamic Home Make-Over on the weekend of the 21st – 23rd September 2007. The 14 staff and 23 children will be blessed to be able to stay at the 4-star Lagoon Beach Hotel, which is part of the Three Cities Group, at no charge while the Home Make-Over is in progress. Our hopes are that the lives of these children will be lifted to a new level, by initiating systems, protocols and procedures that will take the Home into the future with its head held high. We see Masigcine Children’s Home as a beacon of hope which will set a new standard for children’s homes and orphanages to attain in the future. 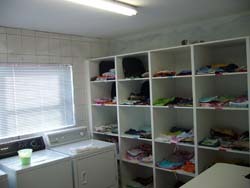 We are making a call to anyone who can help with the Home Make-Over to contact us. 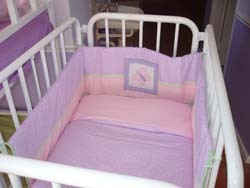 We are hoping that companies and individuals who have a heart for children will come alongside us in making the lives of these little ones more comfortable in an environment where family values will be maintained and spiritual and emotional growth will be fostered in a caring, loving and protected environment. 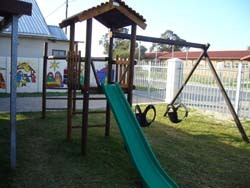 A new website has been set up for the Children’s Home, www.masigcine.org.za. According to Rev. Lucas Plaatjie, “The Board of Trustees wish to convey a word of gratitude in advance to the Volunteer group and every donor and sponsor for the effort they will make in bringing value to Masigcine Children’s Home. 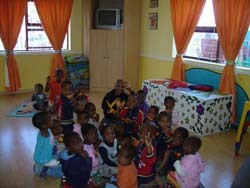 We thank everyone who has made a positive contribution thus far through money, donations, sponsorship, time and skills. This will bring a new mood, climate and new beginning to the children and staff of the Home.” He quoted Matthew 25: 34 – 40. For more information please call Michael de Beer on 083 283 0576. Earlier this year a bible study group (cell group) in Brackenfell were challenged by God to look at an opportunity to serve in a neighbouring community as a way of being more outward orientated. The group felt that they had become comfortably numb and were not being relevant in their community the way the Lord would have us be. They short listed a few possibilities and prayerfully chose to adopt the Masigcine Children’s Home in Mfuleni which is a place of safety for 23 abandoned and orphaned children. 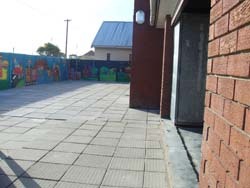 Members of the cell group started doing volunteer work on Saturday mornings and soon Michael & Hilda de Beer became the co-ordinators of this community transformation project on behalf of the cell group. Cell group took on a whole new meaning. New life and purpose had been injected and excited mounted as everyone looked forward to making a difference in the children’s home. 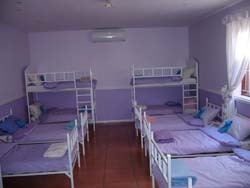 After an initial period of building relationships with the board and management of Masigcine as well as with the children and staff, the cell group received such favour that they were given carte blanche to make changes to the home as they saw fit. They observed many areas of concern which included lack of nutrition, hygiene, cleanliness, order, discipline, admin, staff morale, procedures, staff empowering, training and fund raising. They suggested to the board that 80% of the problems could be resolved in one go by doing a home make-over. After consultation and deliberation, the weekend of the 21st September 2007 was earmarked. The team accomplished in 4 days what would normally have taken a week to complete. 100’s of volunteers showed up from the church, cell groups, the community, Encounter youth ministries and Adcock Ingram staff (Michael de Beer’s employer). The highlight was when the children and staff were taken away for this weekend courtesy of the Lagoon Beach Hotel in Milnerton (www.threecities.co.za) They accommodated the children; all the staff and two co-ordinators (35 in total) for the entire weekend, including accommodation, food and outings at no cost. When Jesus asked us to pray that His will be done on earth as it is in heaven, this was the kind of thing He had in mind. Today, the Masigcine Children’s Home looks a lot more like heaven on earth than it did before this cell group had the courage to ask God to use them to make a difference. Well done to all the volunteers and all the individual and corporate sponsors who made this possible. You inspire us to take ownership of our city and communities and remind us that there are many good people in the world.